Student Government Association BBC President Leo Cosio (left) and Student Government Association MMC President Krista Schmidt (right). 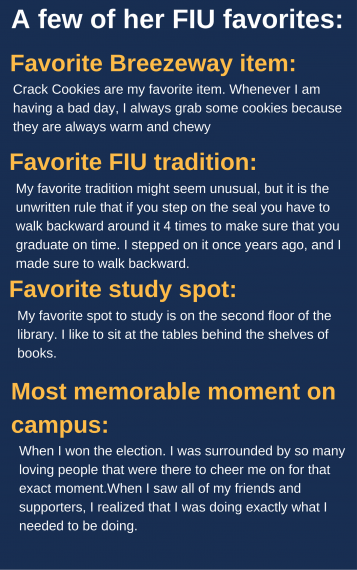 While it’s graduation season for some, it’s a new beginning for others at FIU. Settling in as the student body’s new presidents, Krista Schmidt will lead Student Government Association at Modesto A. Maidique Campus while Leo Cosio will head the organization at Biscayne Bay Campus. The Student Government Association serves to advocate for students in various areas, from academics to social issues, serving as a liaison between the university and the surrounding communities. Krista Schmidt, a senior majoring in communication arts, has been involved in a wide range of organizations including Order of The Torch and Dance Marathon. As a SGA senator during her sophomore year, Schmidt said she saw a vision for SGA but had not realized her potential to see it through. Empowered by her support system and the student body, she is taking her opportunity as president to turn her vision into a reality. Schmidt said her involvement with the LEAD team – student ambassadors for the Center for Leadership and Service – prepared her to become SGA President and helped her recognize the crucial role leadership plays in student government. Schmidt acknowledged the opportunity she has to make an impact on behalf of students, and she is motivated to ensure students are successful at FIU. Her goals include educating students on resources SGA can provide, like the food pantry, and to bring the City of Sweetwater and FIU communities together on other initiatives. 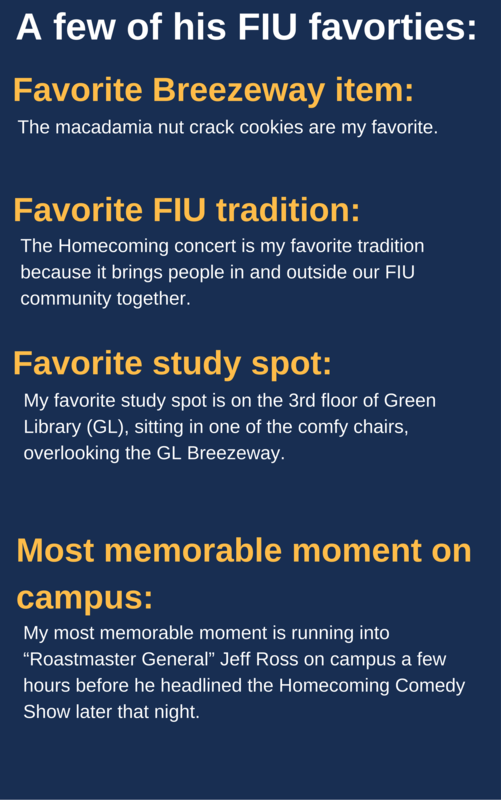 Both Schmidt and Cosio plan to work together to improve the FIU experience for students who attend both campuses. “One of my main goals is to work with MMC-SGA and Parking and Transportation to make the Golden Panther Express shuttles free for students,” said Cosio, a junior broadcast journalism major. After serving as chief of staff and vice president at BBC, Cosio was ready to apply his skill and drive to the leading student voice position at the north campus. Cosio credits the time he helped a friend in a SGA election for changing his perspective on limits. Operating at a high capacity gave him confidence that exceeded his own expectations. In addition to his SGA involvement, Cosio is a member of Omnicron Delta Kappa honor society and a brother in Delta Sigma Phi Fraternity. He is also involved with the Society of Professional Journalists and South Florida News Service. 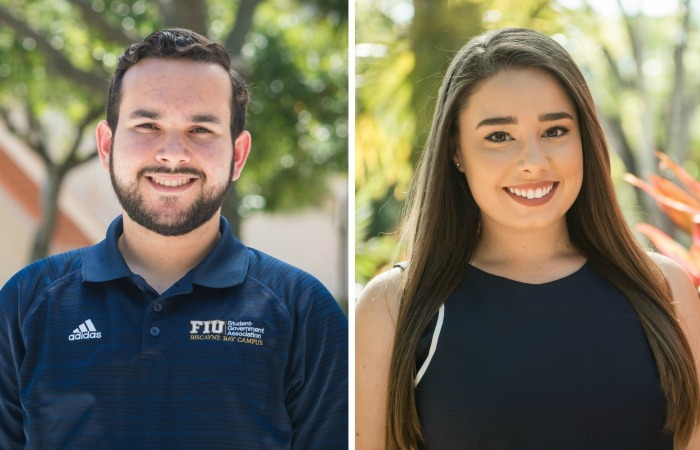 Schmidt and Cosio have both started their terms as president and look forward to serving FIU’s student body.